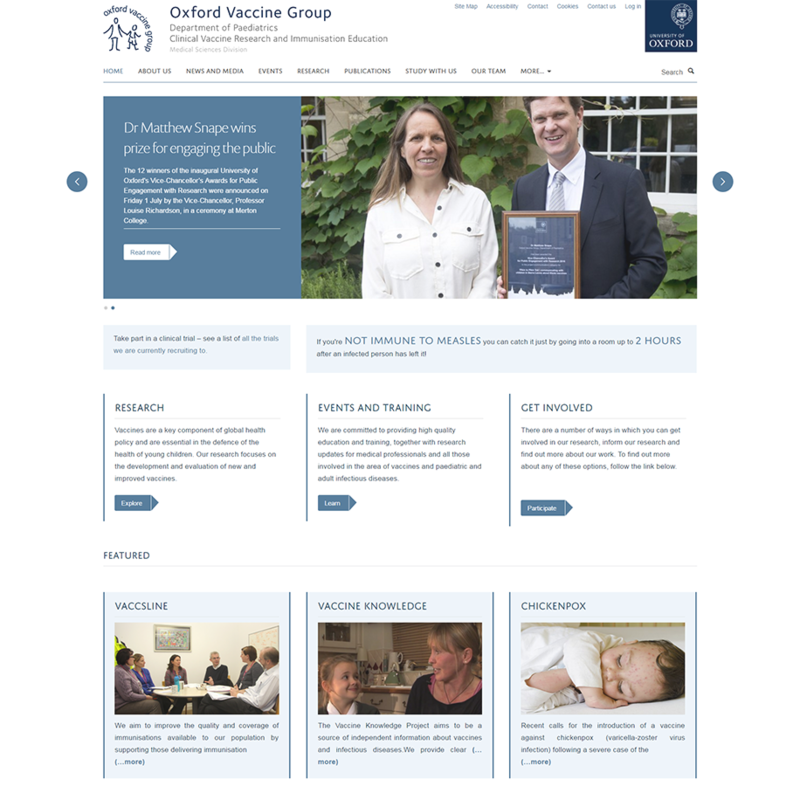 The Oxford Vaccine Group (OVG) conducts studies of new and improved vaccines for adults and children and is based in the Department of Paediatrics in the University of Oxford at the Oxford Vaccine Centre, and is led by Professor Andrew J Pollard. 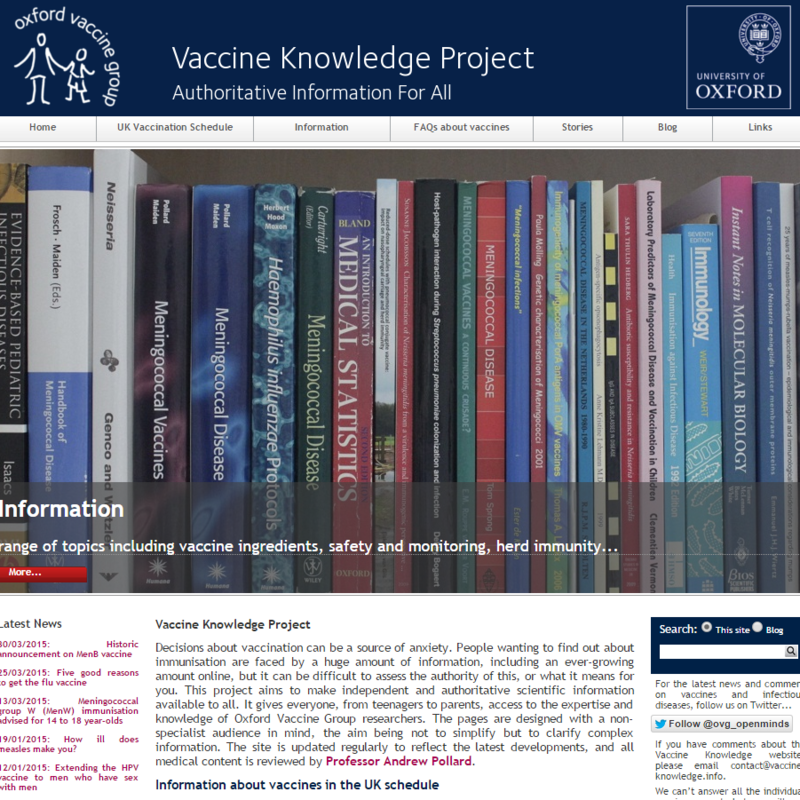 OVG was founded in 1994 by Professor E. Richard Moxon and established offices in the Department of Paediatrics, University of Oxford, John Radcliffe Hospital before moving to the Centre for Clinical Vaccinology and Tropical Medicine (CCVTM) in the University of Oxford at the Churchill Hospital in 2003. 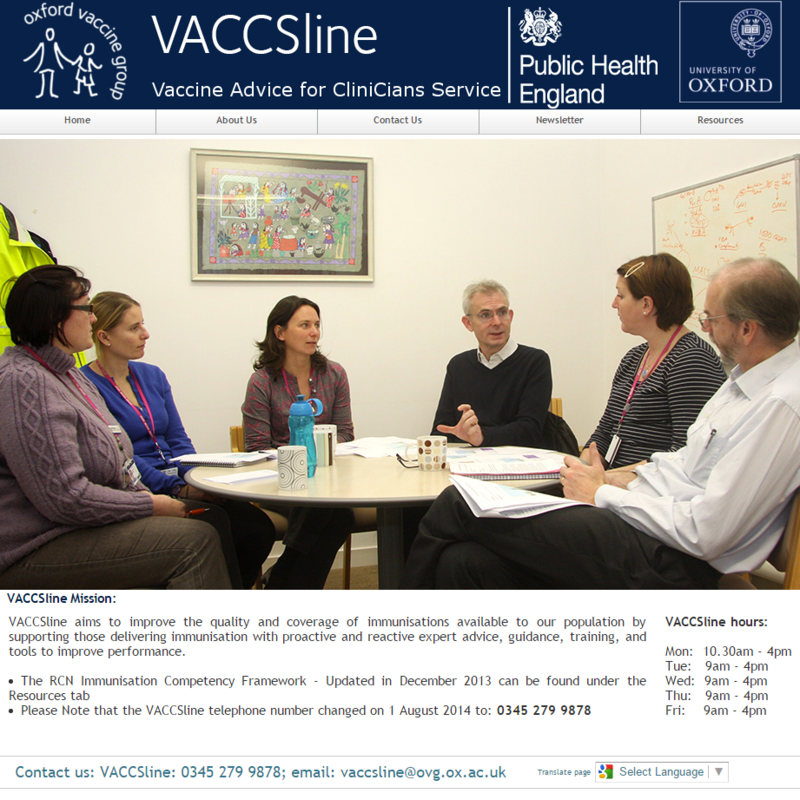 The multidisciplinary group, led by Professor Pollard since 2001, includes 2 Consultants in Vaccinology, a Director of Clinical Trials, a Senior Clinical Trials Manager, adult and paediatric clinical research fellows, adult and paediatric research nurses, project managers, statisticians, QA manager, IT manager, and an administration team. 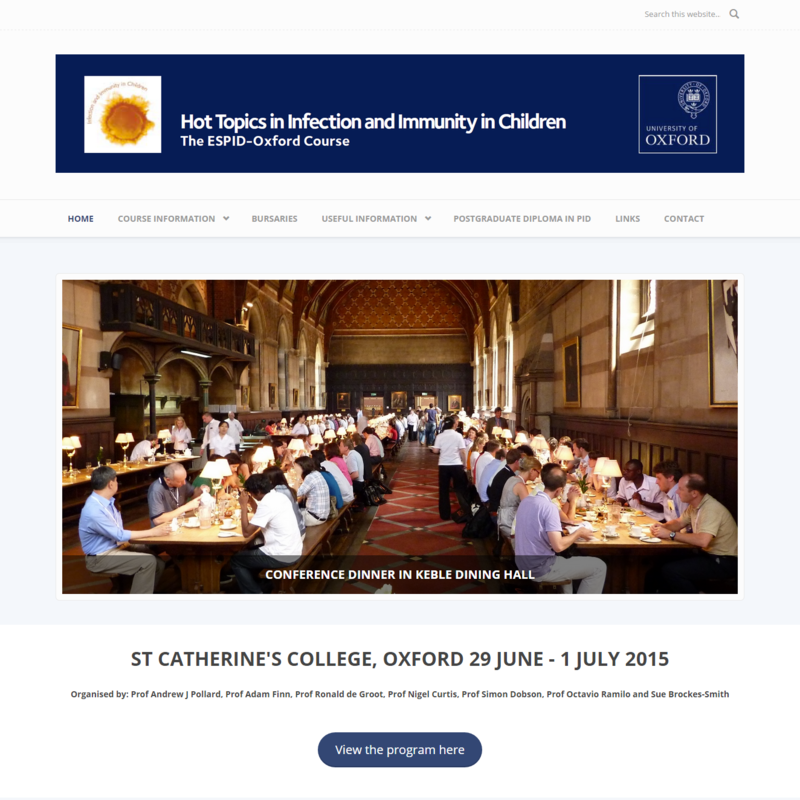 The OVG laboratory includes post doctoral scientists, research assistants and DPhil students. Wider group members include professionals from a range of specialities including immunologists, microbiologists, epidemiologists, a community paediatrician, the local Health Protection team and a bioethicist.